At this year’s conference in Liverpool, the Corbyn wing of the party was firmly in control. 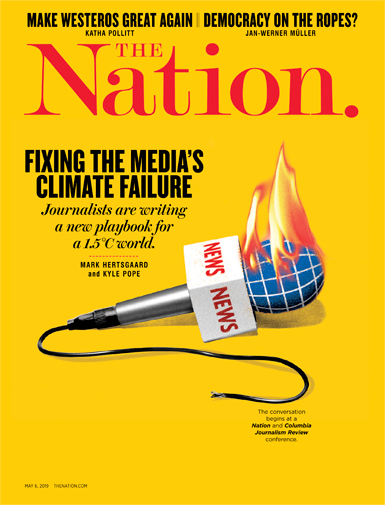 Appraising the Labour Party’s annual conference this year, the British press zoomed in on the unabashed socialism stamped all over it—and just how popular socialism had become across the country. One commentator warned of “the growing confidence of socialists.” Another noted the “terrifying truth that Middle England is falling for Corbynomics,” the party’s left economic platform under its leader, Jeremy Corbyn. Labour’s five-day event brought 13,000 people to Liverpool last week. The city is Britain’s second-most-left-wing city after Glasgow—yes, this really was researched a few years back—and this year, with the Conservative government paralyzed by its bungled Brexit negotiations, Liverpool hosted Labour’s largest and most left-wing conference in decades. The party, now firmly in the hands of Corbyn, rolled out a radical vision to revive the country. This leftward trajectory has been a few short but tumultuous years in the making. In 2015, the party membership, given more say over its leader by a rule change, backed the hitherto obscure backbencher Corbyn. They did so again, only more forcefully, when he faced a leadership challenge the next year. And in a snap election in 2017, Labour defied expectations and secured a historic 40 percent of the vote, desiccating the Conservative government’s majority. By then, Labour’s membership ranks had swelled to over half a million—the largest in Europe and a formidable campaigning force. At The World Transformed, Labour parliamentarian Emma Dent Coad commented that just a decade ago, there was hesitance to even use the word “socialism” in public. Now, she says, “How the tables have turned.” From the speakers in the main conference hall to the packed fringe events around it, the focus was on a socialist agenda fit for the 21st century, one that could reboot and redistribute the economy and make it work, as the party slogan has it, for the many, not the few. 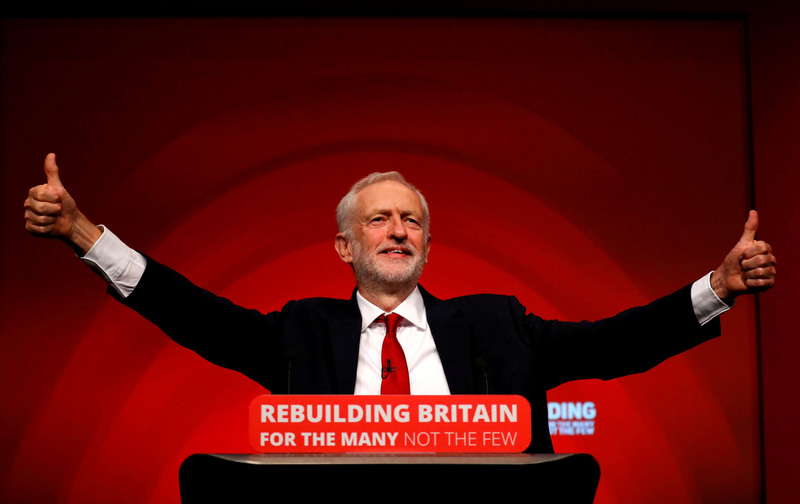 In his speech to the conference, Corbyn rallied the party to take on the “broken economic system” and end a “greed is good” version of capitalism. At The World Transformed, Dent Coad said: “We are not here to manage capitalism”—signaling the party’s break with a neoliberal consensus that has dominated politics for the past 30 years. Alongside the raft of policies rolled out at the conference—worker-share plans, more free childcare, renters’ unions, jobs in green energy—were plans to expand on Labour’s community organizing. Stepping up recruitment of organizers across the country, the party wants these to build local-led, bottom-up campaigning—reviving politics in areas that have long felt neglected and ignored by politicians. These feed into the sense of a party in the “permanent campaign mode” its leader proclaimed immediately after the election last year, which left many sitting Conservative MPs, including ministers, with tiny majorities. Momentum has since run several popular “unseat” campaigns in such constituencies, boosted by rallies held by Labour shadow-cabinet members around the country. Generating conversations about Labour’s radically different politics, this local organizing is also keeping the grassroots engaged at a time when the Brexit-induced volatility of national politics could feasibly result in yet another election. It is currently hard to see how any deal the government negotiates with the EU will get a green light in Parliament, much less what might happen after that. But a just published survey suggests that Labour now has a 2 percent lead in the UK’s 60 most marginal seats, overtaking the Conservatives. This grassroots movement is also actively in conversation with its counterparts across the Atlantic. Julia Salazar, the first-time Democratic Socialist of America–backed candidate who ousted an incumbent for a safe seat in the New York State Senate, and fellow Democratic Socialist Lee Carter, who won election to the Virginia House of Delegates last year, both spoke at The World Transformed. (The controversy over inconsistencies in Salazar’s biography did not, apparently, follow her over to the UK.) Both Salazar and Carter made parallels to struggles in the United States, the recognition of a broken economic system and the need for progressives to shift leftwards to offer voters a real alternative. Carter joked about being inspired by Bernie Sanders’s speaking about these day-to day-issues in a clear, coherent way “and calling it socialism—so I went to Google it.” Momentum was similarly inspired, drawing on canvassing tips from Bernie campaigners ahead of the UK’s election last year. As American progressives are looking for ways to beat Trump, so too are European leftists seeking to fight the politically resurgent far right. Europe’s left has long been in brutal decline in a process termed Pasokification, after the Greek Pasok party whose vote share fell off a cliff, from 44 percent in 2009 to 4 percent in 2015. Hammered in recent elections across the continent, social-democratic parties in Germany, France, Italy, Austria, and the Netherlands are now studying the Corbyn leadership for clues on how to resuscitate the left.